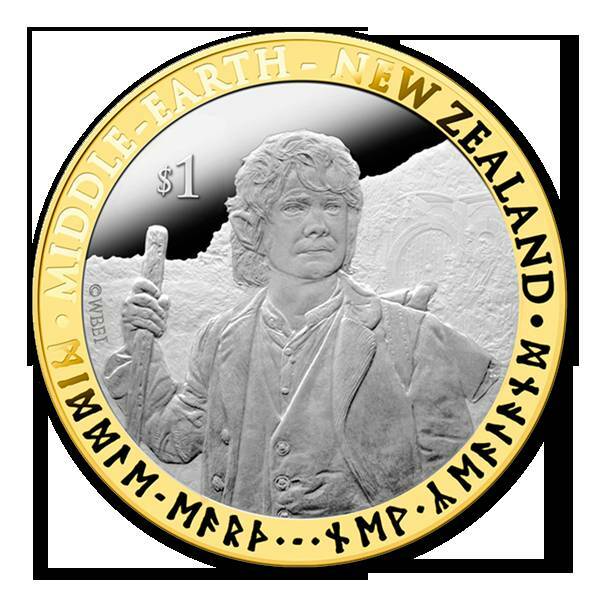 New Zealand has issued coins, all legal tender, marked with ElvenDwarven runes and bearing images of scenes and characters from the new Hobbit film trilogy. That means you could plonk them down on a Kiwi bar and demand a nice cold Tui* in return. You'd be mad to do so, however, as the coins sell for well above their face value. A golden set of three NZ$10 coins bearing images of Gandalf, Thorin Oakenshield and Bilbo Baggins will set you back NZ$10,995 (US$9040 or £5600). Other coins cost less, but will still cost you far more than their face value. *Tui is Vulture South's preferred Kiwi tipple, if only because its motto is "Distracting the boys from the task at hand since 1889."